If there’s one thing that could make all food taste better, it’s blueberry aigre-doux. 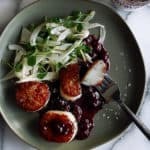 I’m going to keep today’s post short and sweet, because I’m too excited to get in the kitchen and make these scallops again. This is the third recipe I’m sharing in collaboration with Jar Sessions! And really, each session just gets better and better. First we had these pickled cherry tomatoes, then the sweet chow chow, and now this beautiful blueberry aigre-doux. Aigre-doux is basically a sweet and slightly sour preserve. The Jar Session’s version is made with blueberries, white wine, and beet sugar. It is so unique and turns into the most wonderful sauce with the addition of a little butter. Syrupy, rich in flavor, and absolutely mouthwatering. And when spooned over perfectly seared scallops? There is absolutely nothing better. Pat the scallops completed dry and season on all sides with a pinch of salt. Heat a large sauté pan over medium heat. Add enough oil to coat the bottom of the pan. 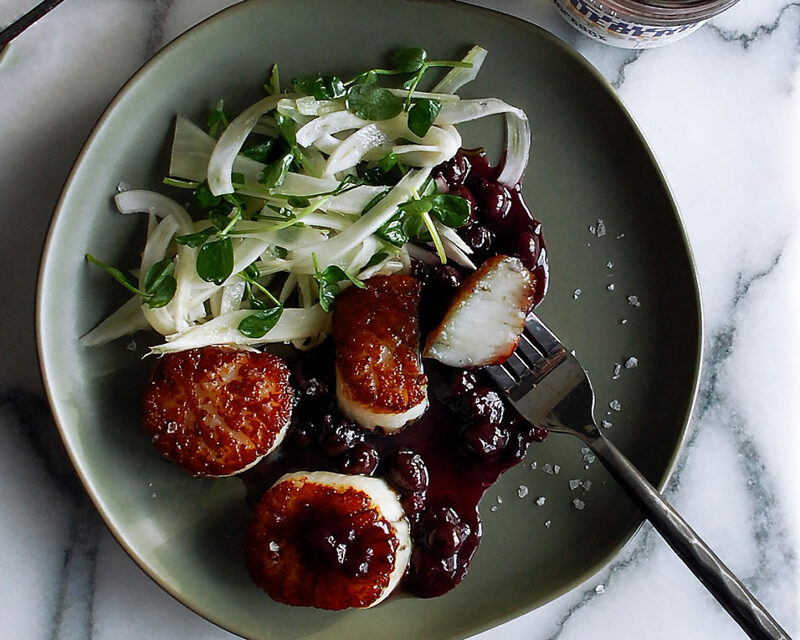 When the pan is sizzling hot, add the scallops. Sear on one side until crisp and golden brown, just about 2 minutes. Flip the scallops and continue cooking for another minute or so until cooked through. Meanwhile, add the blueberry aigre-doux to a small saucepan. Bring to a simmer over medium heat. Turn the heat off and add in the butter, stirring until incorporated. Toss the fennel with olive oil, lemon juice, and salt to taste. 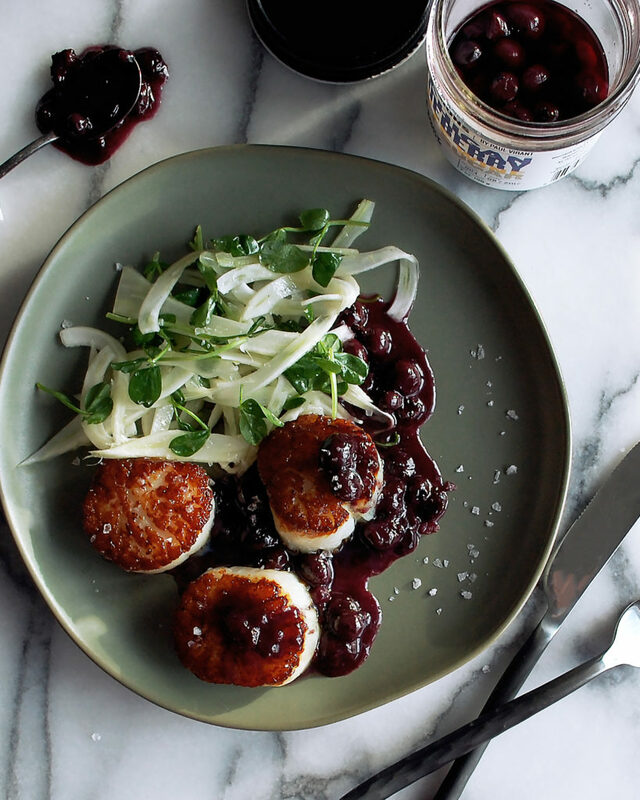 Serve the scallops with the blueberry aigre-doux, a mound of fennel, and garnish with the microgreens. Sprinkle the flaky sea salt over top the scallops.